Teeth whitening is a safe, non-evasive, clinical alternative to Porcelain Veneers and Dental Crowns, offering a complete smile makeover. Teeth whitening should only be performed by a dentist or regulated dental professional, such as a dental hygienist or dental therapist, on the prescription of a dentist. 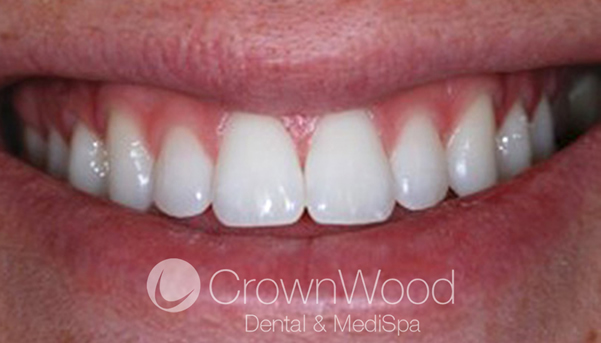 At CrownWood Dental in Berkshire, all clinical options are explained to our patients before we start a teeth whitening treatment. Over time, teeth become stained by food and drink. Smoking further stains teeth, resulting in the natural white shade becoming darkened. Teeth whitening is a successful and simple method of lightening the colour of your teeth. A custom made mouth tray is created. 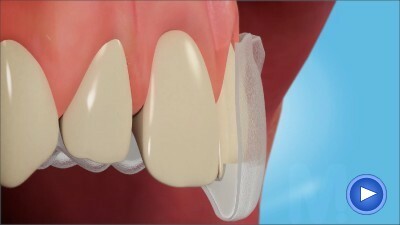 A whitening gel is placed in the tray which is worn while you sleep, or for short periods during the day. Results are normally seen over a 2-week period. Contact us about how to get your teeth whitening kits in Berkshire. Zoom whitens up to 6 shades in an hour. The Philips Zoom Chairside procedure consists of 4 x 15 minutes with an added pH booster application that is applied to the teeth before the Philips Zoom whitening gel. The chairside treatment is then used in conjunction with Zoom DayWhite or NiteWhite for patients to continue whitening at home. For those who like the convenience of whitening while they sleep, there is NiteWhite; for patients who prefer a shorter wear-time we would recommend our DayWhite Take-Home treatment. You can achieve your whitest smile in just 60 minutes with a visit to our Berkshire teeth whitening clinic. Zoom uses LED light to accelerate whitening for maximum results in minimal time. Carried out by our dentists so it’s the healthiest option for your teeth. Safe and effective on teeth and gums - 95% of patients surveyed agree it products excellent results. Where do you live in Berkshire? If you live in any of the following towns in Berkshire, then why not come along to our dental practice in Bracknell to have your teeth whitened? Our prices are very competitive and our care and service is outstanding. 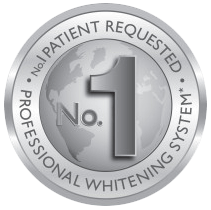 We are the best dental practice in Berkshire for teeth whitening. Read our fantastic reviews on all aspects of dentistry and teeth whitening. We have helped many customers to get their teeth whitened in Berkshire. Below are two video reviews. 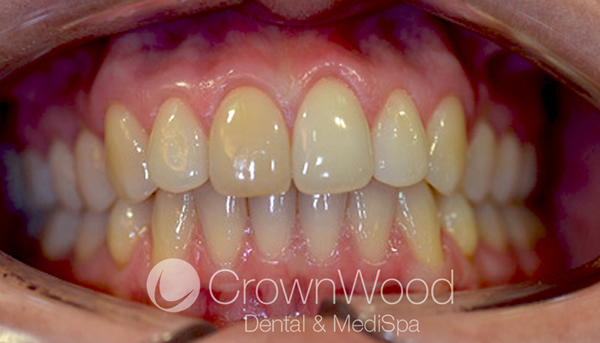 While her teeth and gums were healthy, this patient was not happy with the colour of her natural teeth. 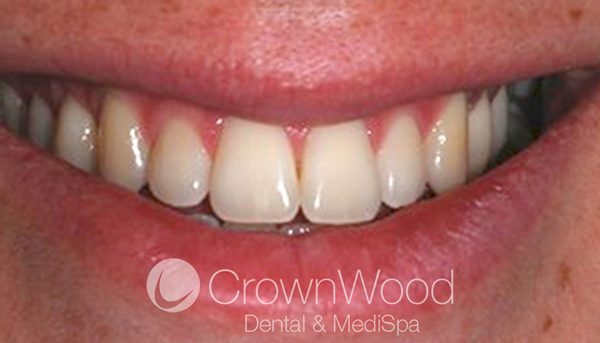 We achieved a great result with our Home Tooth Whitening Kit. 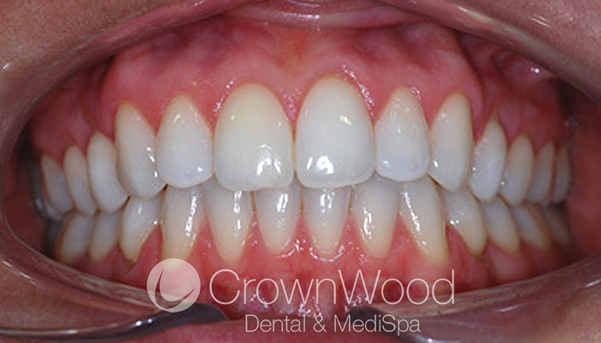 This amazing whitening result was achieved by using a combination of our in-house Laser Whitening, followed by the patient using our Home Tooth Whitening Kit.